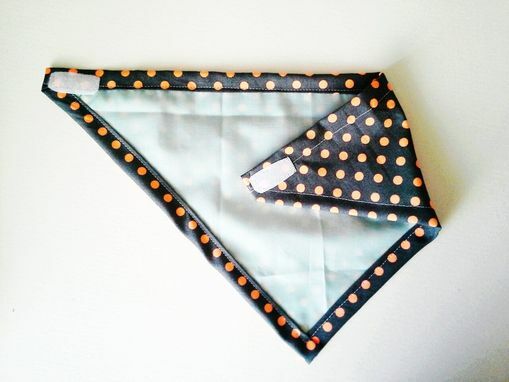 This stylish bandana bib is reversible, with velcro closure for easy on and off. 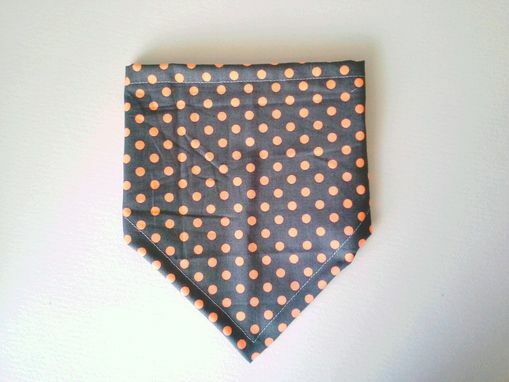 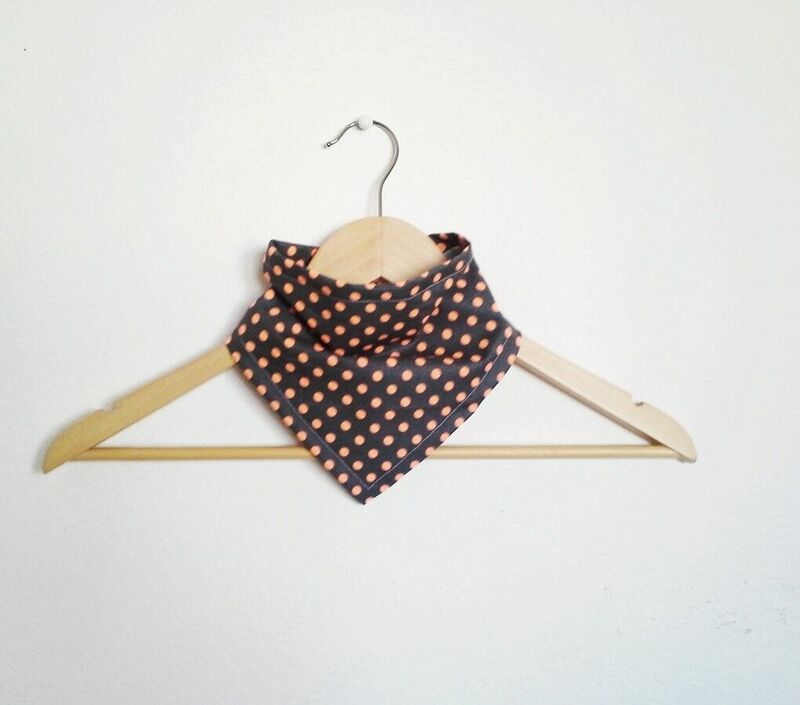 Grey with neon orange polka dots print on one side, with solid mint on the other side. Prints are both 100 percent cotton.